Published on March 20, 2016 in General T&T, Law, Media, Parliament, Politics and UNC. 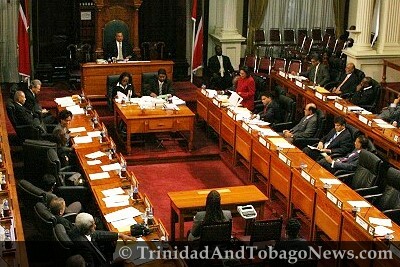 10 Comments Tags: Abuse, Express, Kamla Persad-Bissessar, Politics, T&T Govt, Wade Mark. IT is disingenuous for Members of Parliament to be offering to refund salaries paid to relatives in breach of parliamentary rules, to quibble over definitions of employment, to suggest that new rules should not affect old behaviour or to dismiss them as mere guidelines. The fact that one of those MPs is Wade Mark, former speaker of the House under whom the parliamentary rules regarding employment at MPs constituency offices were reviewed and changed before being implemented in the current term, is scandalous. Published on September 15, 2013 in General T&T, Law, Parliament, People's Partnership, PNM, Politics and UNC. 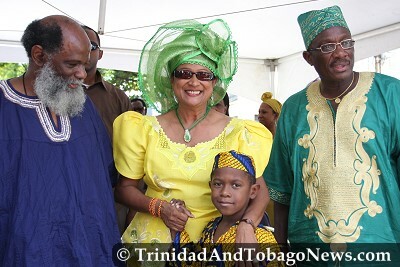 2 Comments Tags: Herbert Volney, Kamla Persad-Bissessar, Politics, Raffique Shah, T&T Govt, Wade Mark. When House Speaker Wade Mark invoked the contentious constitutional provision that an elected MP, Herbert Volney in this instance, must vacate his seat upon resigning or being expelled from the party on whose slate he was elected to Parliament, it piqued my interest. You see, I was a principal player in the events that led to the passage of that amendment to the Constitution in 1978, and I am intimate with its genesis. Published on September 10, 2013 in General T&T, Law, Media, Parliament, People's Partnership, Politics and UNC. 1 Comment Tags: Herbert Volney, Jack Warner, Kamla Persad-Bissessar, Newsday, Politics, T&T Govt, Wade Mark. Speaker Wade Mark removed St Joseph MP Herbert Volney, “with immediate effect” from the House of Representatives moments after yesterday’s Budget Speech, in an unprecedented invocation of the “Crossing of the Floor” provisions of the Constitution. 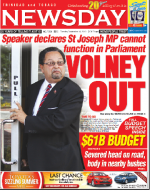 Volney resigned from the United National Congress (UNC) — on which ticket he had been elected to the House on May 24, 2010 – after being fired as Justice Minister over the “section 34” scandal, and has since joined the Independent Liberal Party (ILP).